WIMA DC-LINK MKP 4SMetallized Polypropylene (PP) DC-Link Capacitors for STRINGENT REQUIREMENTS. Capacitances from 0.47 µF to 80 µF. Rated Voltages from 450 VDC to 1050 VDC. 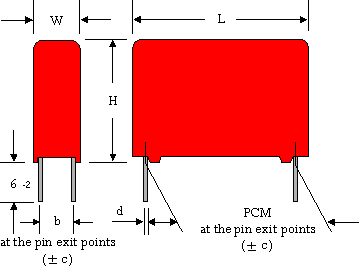 As intermediate circuit capacitor e.g. in high power converter technology, power supplies, solar inverters etc. Marking: Colour: Red. Marking: Black. 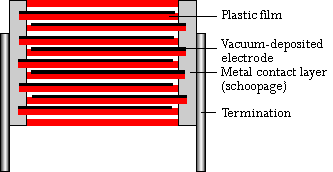 Voltage and current derating : A derating factor of 1.35% per K must be applied from +85°C for DC voltages and from +70°C for AC currents (Irms). 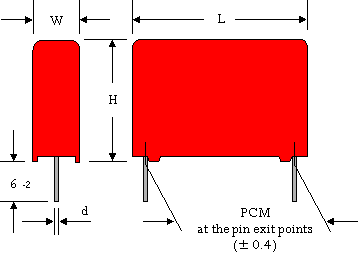 Additionally a derating factor of 4.5% per K must be applied from +85°C for AC currents (Irms). Available taped and reeled up to and including case size 15x26x31.5 / PCM 27.5mm. Plate versions are possible, please refer to the construction principles of WIMA Snubber capacitors. Rights reserved to amend design data without prior notification.